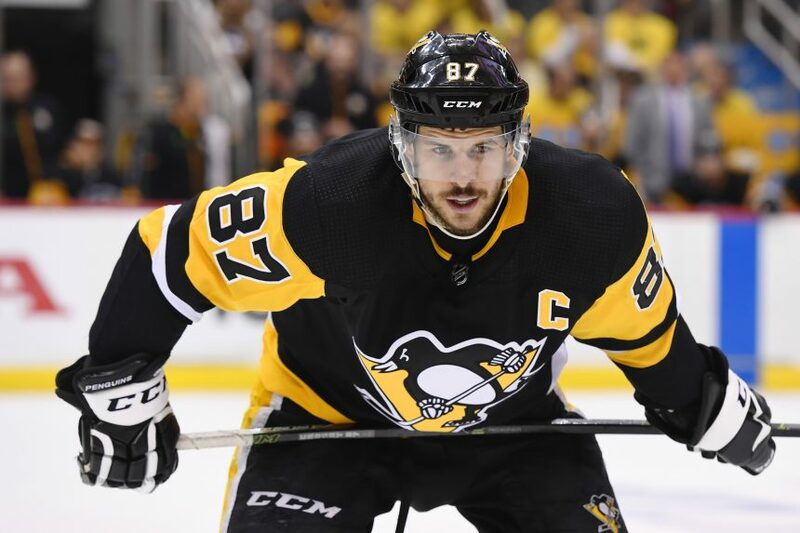 Breakdown: Sidney crosby's career long goal drought to start a season - The Point Data-driven hockey storytelling that gets right to the point. For the first time in his career, Sidney Crosby has started a season with 0 goals in 6 games. Let’s start by getting this out of the way – this is not a “What’s wrong with Sidney Crosby” article! He’s got 5 assists, he’s still one of the best players on the planet and the goals will come. What this is, is a why hasn’t Sidney Crosby scored yet article. The answer is pretty simple, shooting accuracy and shot quality. Last season, Crosby had 3 goals in his first 6 games. 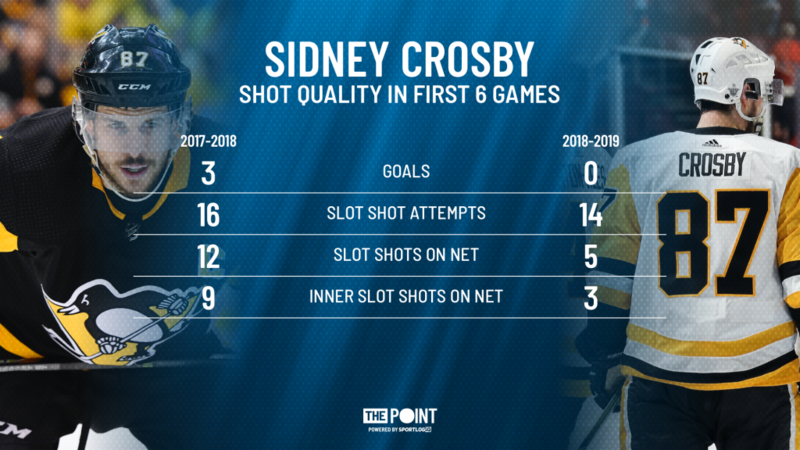 He was getting shots off from the slot at a similar rate to this season but as you can see on the graphic below, Crosby was hitting the net way more often. The drop in quality shots on net is a direct result of Crosby simply missing the net at a much higher rate than he did last season, both from the slot and in general. The drop in shooting accuracy from the slot is what’s most noticeable and that’s key for Crosby who scores a majority of his goals from in-tight. 52 of Crosby’s 73 goals over the last 2 seasons have come from the slot. So, there you have it. 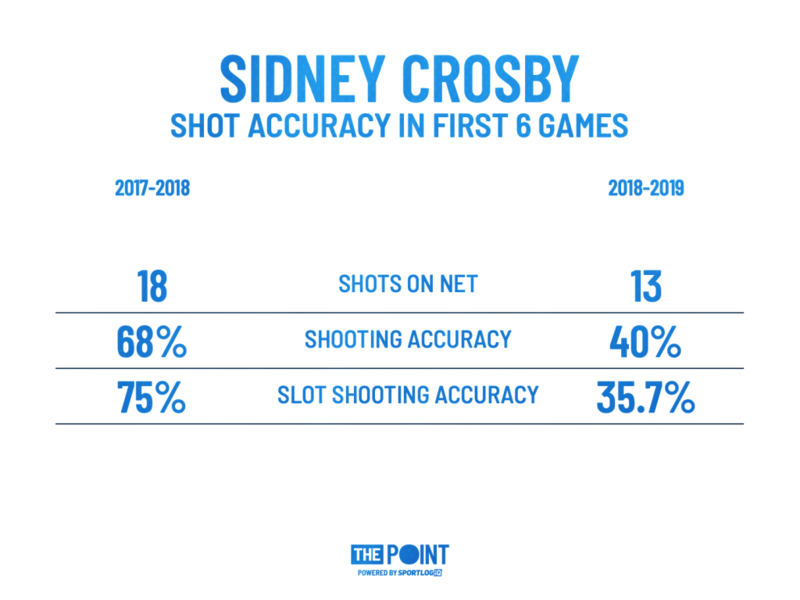 A lack of quality shots due to a drop in shooting accuracy best explains Crosby’s career-long goal drought to start a season. He’s a superstar, he’ll figure it out and it likely won’t be long before he starts filling the net.